Out go the simple sponges, scones and rock buns, and in come the macarons and millefeuilles, fancy fondant decorations, perfect petit fours and triple tier cakes. Increasingly, if we’re going to make the effort to bake we want it to be a showstopper, not an every-day-eat. In a kitchen where chunky chocolate cookies and iced éclairs reign supreme, something to nibble mid-morning and dunk in our tea just doesn’t make the grade. It’s a bad time to be a biscuit. That’s not to say we’re not still eating the things. Last year Britain consumed 141 million packets of biscuits, spending a whopping £123 million for this pleasure. Fuelled largely by our irrepressible tea drinking habit, biscuit buying is a booming economy that shows no sign of waning. Everyone has their favourite, from the nobbly Hobnob to the puritannical Rich Tea, but this is primarily a beauty contest between established brands; people are buying, not baking, these favourite tea-time treats. In a survey conducted by Sainsbury’s last year, Sun readers voted pink wafers their number one nibble, while those who read The Guardian were partial to the slightly more pretentious amaretti biscuit, with various other contenders across the country. But of all the weird and wonderful choices out there, one type of biscuit clearly took the lead, accounting for one in every nine packets bought in the UK last year. Which tempting treat managed to crumble its way to the top of the British biscuit league and into our hearts? Whether cloaked in chocolate or served straight up, the digestive is a simple pleasure. Slightly soft with a sweet, malty taste, this combination of oats and wholemeal flour was originally believed to have a positive effect on digestion due to the inclusion of baking soda in an original recipe. I’m not sure these health benefits would withstand much close examination nowadays, but there’s no denying the comforting qualities of a good digestive. McVities pretty much monopolise the market for these favourite tea-time treats; a bit like Heinz, there’s something about home brand versions which leaves us a little cold. But have you ever tried to make your own? This post is flying the flag for the homemade digestive. Their appearance may be a little rough and ready in comparison to some of our favourite home bakes, but they’re incredibly simple to make and the flavour really is superior. Real butter in place of McVities’ vegetable oil produces a slightly richer, shorter, more satisfying biscuit with a crumbly, wheaten crunch, perfect for eating straight up or dunking in your favourite cup of tea. Eaten alone the homemade digestive provides a more puritanical pleasure, but can easily be tarted up by coating one side in tempered chocolate or layering with caramel for a variation on Millionaire’s shortbread. Combine with chocolate, butter and golden syrup and you’ve got the most beautiful chocolate biscuit cake (although Prince William’s Royal Wedding cake was made using Rich Tea biscuits – shame on him – the digestive really is best for this purpose). Crumble your biscuits over fruit and yoghurt and you’ve got an instant dessert, while the base of banoffee pie or a creamy cheesecake wouldn’t be the same without a crunchy digestive crust. I’m as partial as the next person to producing fancy cakes and beautiful bakes, but the next time you reach for the biscuit tin, spare a thought for the homemade digestive. Simple, delicious and nutritious (if you close your eyes while rubbing in the small amount of butter and sugar below), biscuits baked at home are just as good, if not better, than shop bought versions. So give it a go, make your own. You could even save a packet. My first biscuit pun of the post, I didn’t even use ‘when it comes to the crunch’ . . .
What’s your favourite kind type of biscuit? And do you buy branded packets, or prefer to make your own? Preheat oven to 180 degrees C. Blitz the oats to a fine powder in a blender then mix in a large bowl with the wholemeal flour, baking powder, brown sugar and salt. Add the butter and mix until crumbly. Add the milk and mix to form a smooth dough. Wrap in cling film and pop in fridge to firm up for about 15 minutes. Remove your dough from the fridge and roll out to around 3mm thickness. It will be very crumbly so you’ll need to be very careful when rolling. Cut out circles of about 6cm diameter – I used a water glass to stamp out the shapes. Decorate with a pattern of your choice then bake in the middle of your oven for about 15 minutes. When lightly golden but not too brown, remove from the oven and leave to cool on a wire rack. Store in an airtight container. what a lovely post, and gorgeous result ! love your personalisation on the biscuits! I make those as well, that are lovely, ain’t they? We shall just have to save the biscuits from extension or at very least from being deeply unfashionable, together. I’ll bring me fig rolls over. There is nothing better than homemade biscuits with a cup of coffee. These sound absolutely perfect! I love digestive biscuits and these look fantastic! They look delicious – I shall have to try this at some point. Love the inscription in the biscuit by the way. Great post. I love your writing style and it’s a recipe I’m definitely going to try at the weekend. With everything lavished with buttercream icing these days, it’s so easy to forget the simple pleasures. What a great idea. Can you try homemade hobnobs next? They’re my favourite. Especially the chocolate ones. Working London Mummy – I couldn’t resist leaving a littleloaf imprint on them! Frugal Feeding – do, they’re simple, cheap and delicious. Claire – thank you 🙂 I’m still partial to the odd cupcake slathered in buttercream but it’s nice to take time to appreciate the simpler things in life sometimes too! Amazing – I want to make them now! 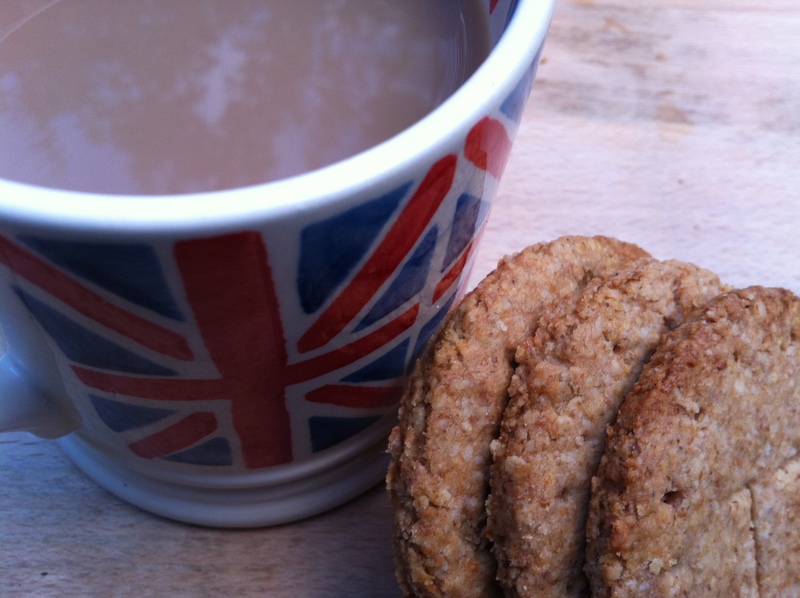 genius – i would never have thought to make my own digestives. Wow 141 million packets of biscuits! That’s amazing. Love your digestives, they look store bought as they are so perfect. When I live in the uk i love digestive biscuits. These do look great! The Peas Knees – the great thing about these is the instant gratification. It shouldn’t take longer than about half an hour from mixing the ingredients to pulling a tray of warm biscuits from the oven. Not Quite Nigella – there has been some dispute on Twitter over Rich Tea vs. Digestives since I linked to this post. I’m sticking with my guns and saying digestives all the way! 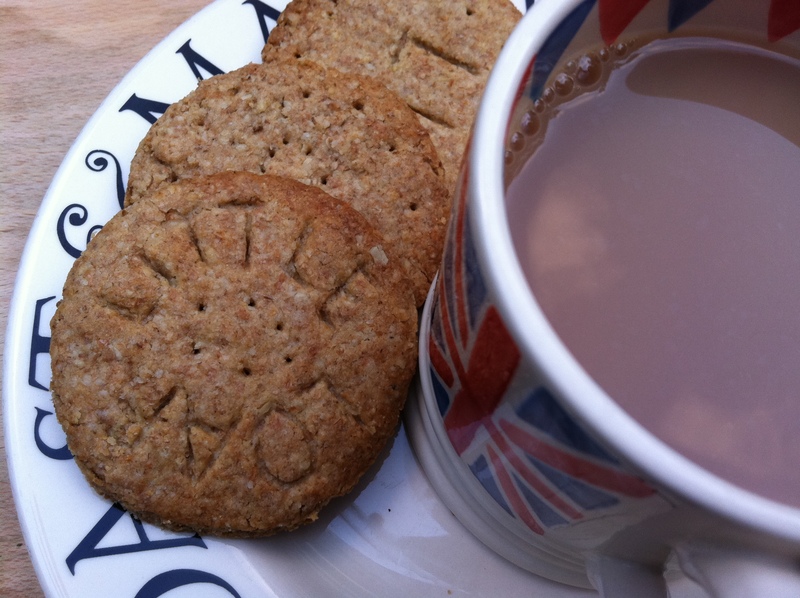 Amy – Brits do love a good cup of tea and a biscuit! Digestives aren’t the most exciting option out there, but they’re simple and delicious. Jennifer – I know, that’s a hell of a lot of biscuits! Paula – 100% agree – homemade all the way! I’ve been looking for a good homemade digestive recipe for a long time now, they are one of my favorite things to have with tea. I loved this post: interesting, well-reasearched and so true. I don’t buy a lot of cookies (forgive my Americanism) but I do love a good Digestive. I never thought of how easy they were to make. Yours look delicious and I am in love with the Little Loaf print on them. Sooo cute. Great pics. Chocolate dipped digestives with a cup of tea is the pure essence of comfort food. In fact, the husband knows if I’m blue, that he should just fetch me one of each- and then we’ll have the conversation about what’s going on. When I was a child it was the Digestive. In fact, if I had oats right now I would start making these as we speak! 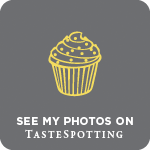 Beautiful photos and a wonderful recipe too……I LOVE the addition of oats…fabulous post! I don’t buy biscuits. I can’t trust myself not to eat half the pack in one go, feel sick and yet still manage to polish off the rest half an hour later. But when I indulge in a biscuit, I like the classic (some might say, plain ) ones. My favourites as a kid were Marie biscuits which are slightly less exciting than a Rich Tea. I also love a digestive. Back in Northern Ireland, my family smothered them in butter for a light supper. I prefer your idea of making the biscuits with butter instead! Sylvie – hopefully you’ve found what you were looking for! Nuts About Food – thanks, I couldn’t resist the little imprints on the biscuits, they’re so fun to personalise. Tori – they’re a definite comfort food. With a hefty dose of nostalgia – chocolate digestives will always remind me of going to a friend’s house after school and eating three or four in a row before supper, just because we could. I remember when I was a kid I often got biscuits as a souvenir from relatives who had spent their holidays in Britain. So for me, Britain has always been, not only, but also, the country of great biscuits. Well, your recipe just seems to prove my thinking. Homemade digestives, very impressive Little Loaf! Much like Miss South, i try not be buy biscuits as i end up scoffing the whole packet over the course of a day. My favourite ones are invariably chocolate covered such as chocolate covered rich tea but i do love milk biscuits dunked in milk too. wow I’d never have thought to make my own digestives. How did you get ‘little loaf’ on them? I really like the personal touch. I try to bake my own biscuits now that I can bake stuff but I do buy biscuits such as digestives, rich tea and hobnobs (mainly for use in cheesecakes or other bakes!) I’ll have to give this recipe a try, thanks for sharing. Great read and presentation!! Wow!! us expats must keep the exporters busy paying what amounts to a couple pounds for a roll of McVitties Digestives. I’m hoping an expat in the US or Canada might be able to quantify whether we have wholemeal flour. I’m a dude, so I’m not great in the kitchen. I’d like to make these, as I do like a dunk with a ‘gestive and tea occasionally. The other stuff like temps and measurements I can easily find conversions for. Hope to hear from one of you folks. This post is simultaneously the best and worst one for me. Best: I LOVE Digestives. Addicted to them in fact. So glad to know I can now make them at home! Lemon – we Brits definitely do know our biscuits! Baking Addict – I just used a knife to carve in the letters/pattern but you can also buy biscuit stamps if you’re feeling fancy! Terry – I’m sure you can get wholemeal flour where you live. Plain is ok, but wholemeal adds an altogether rounder and nuttier texture and flavour. Ha ha, the humble bake! My most feted bake in recent months has weirdly been rock cakes. I tried making digestives once and don’t think they were very successful, but I’m inspired by you to give them another go. Your little loaf stamp is great. I don’t really buy biscuits – other than digestives, but if I do, they tend to be bourbons or fig rolls, both of which I really must try and make myself one day. Hi there. I made these biscuits the other day, They were SOOOO good. Would you mind if I posted them on my blog with a link to the recipe on your blog? Thanks a mill. My pleasure, glad you liked them! Thank you for posting this recipe! I live in Mexico City and I miss Digestives more than anything :o) Having said that, I have not been impressed with the original famous brand over the last couple of years so am more than happy to give these a go! As an ex-pat living in Denver, I was in Australia earlier last year and discovered ANZAC biscuits…they are dead easy to make and very forgiving when you want to jazz them up or change the flavouring….if you would like me to post the recipie I will be happy to do so. Pingback: Spelt digestives and waffles | UC Food? I See. Pingback: Biscuits, bagels and snow | UC Food? I See. Thank you these, found your recipe through another blog who referred me here! I’m making these right now and hoping that over time I can omit the butter and sugar with something else to suit my healthier lifestyle. But your blog on these is great and very helpful! You know just the other day I was wondering if I could make a version of these with maple syrup and coconut oil. Will let you know if I give it a try! I have been looking for a digestive recipe for ages, so thanks for making my Saturday! Sad, I know…. a couple questions – is whole wheat flour the same as whole wheat flour? I am trying to replicate carr whole wheat crackers (the only cracker I can find here that resembles digestives). would these be similar to a whole wheat cracker? could they be served with a cheese platter? thanks! oops – I mean is wholemeal flour the same as whole wheat flour. thanks! Hello, yep wholemeal and whole wheat are the same thing. 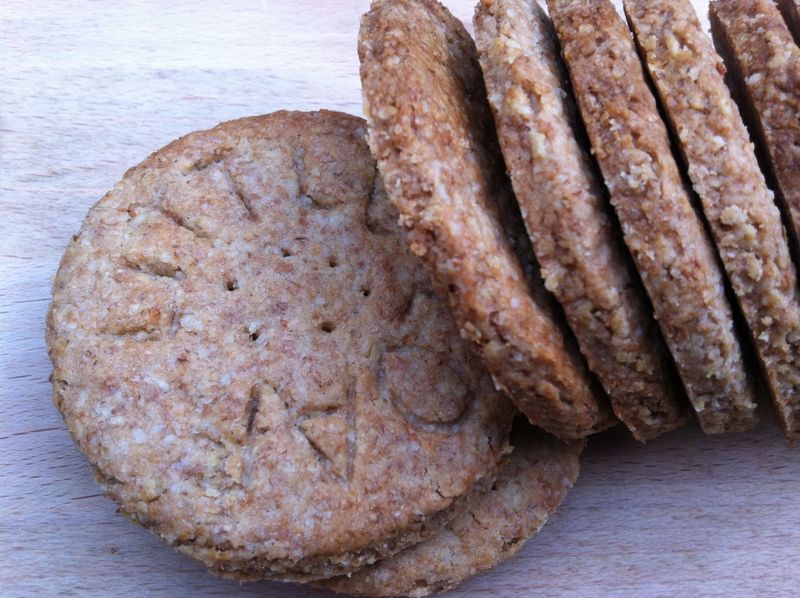 Digestive biscuits are crumblier than a cracker but they do go well with cheese. If you’re serving them with a cheese board, I’d reduce the amount of brown sugar by about 20g. Good luck! 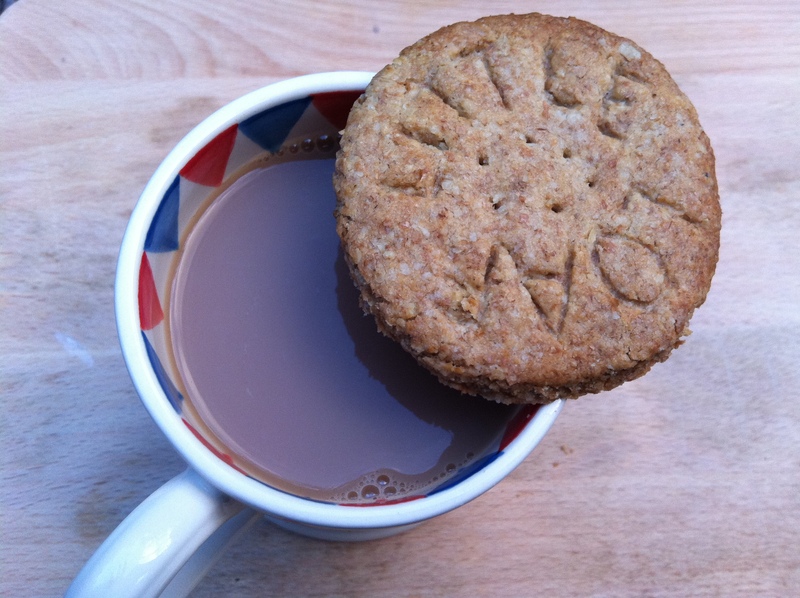 I was just having a digestive biscuit with my cuppa (Australian slang for ‘a cup of tea’) and thinking how much I have enjoyed the digestive biscuit above all other biscuits and had the brilliant idea to make my own so I never have to worry about running out of them. Thank you for this recipe, it looks just perfect and next weekend I will be making this to thoroughly enjoy with another cuppa in front of my fire. I made a few alterations with what I had on hand and still got an amazing result. Alterations included substituting brown sugar for organic coconut sugar; used wholewheat pastry flour and added cinnamon, ground ginger, and minced crystallized ginger. Lovely recipe. We have been buying the McVitie’s biscuits and decided to find a recipe we could try on our own. Next time I make them I am going to use dark brown sugar, simply as an experiment. This blog was the solution to my problem. Thanks! I have been a McVite’s fan for years and years, but finally got fed up with palm oil used for processed biscuits and cakes and have introduced a domestic ban on processed bics and cakes. Palm oil is cheap and much used by commercial biccie makers, but unfortunately its the worst of all oils healthwise with possible exception of coconut oil. Yuk, – should be illegal! These bics look perfect and easy to make. Thanks so much, I’ll be making them on a regular basis. I have had so much fun with this recipe — delicious and so much room for experimentation.